Your electrical system is literally what powers your business. Trust this crucial element of your operations to a team with the experience and expertise to get the job done right. From new construction installation to power upgrades, electrical repairs to backup generators for peace of mind, our licensed commercial electricians can do it all. We serve businesses in Wichita, KS and surrounding areas, including Andover, Derby and Haysville. Replacing older lighting fixtures with new, high-efficiency lighting can have a noticeable impact on your facility’s annual energy use. Along with replacing lighting fixtures to maximize energy savings, CTS can also improve the intensity, color or placement of your existing fixtures to fit your specifications. Does your facility need more power due to a site expansion or increased load demands for new equipment? From simple update to full replacement, if your facility requires higher levels of electrical supply—CTS can get you powered up. We understand that electrical problems can disrupt your operations and cost you in terms of downtime and lost productivity. That’s why we offer same day service, and are on call 24 hours a day. 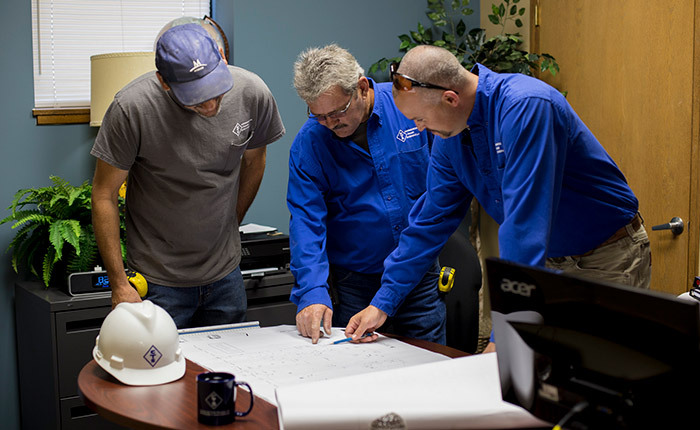 Our focus on long-term relationships ensures quality work, integrity in scheduling, and communication that keeps you informed, confident and worry-free throughout the process.